WASHINGTON, DC –(ENEWSPF)–May 30, 2017. U.S. 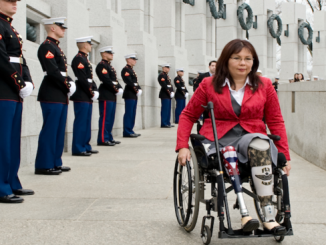 Senator Tammy Duckworth (D-IL) joined U.S. Senator Sheldon Whitehouse (D-RI) and 16 of their colleagues in writing to the White House to express alarm that the Trump administration is attempting to block the Office of Government Ethics (OGE) from discovering how many lobbyists and industry lawyers have been granted ethics waivers by the administration over the past few months. After taking office, President Trump signed an executive order to continue the Obama-era policy of prohibiting lobbyists and lawyers from working on issues involving their former clients. However, the Trump administration has since hired dozens of former lobbyists and industry lawyers at higher rates than its predecessors, raising concerns about whether these hires are violating the law or have been given a waiver allowing them to ignore it. OGE recently requested to know how many people have been given waivers but the White House took the highly unusual step of asking it to withdraw its request even though OGE is statutorily entitled to obtain and review the waivers. The Senators noted that there is a long-established precedent of disclosing waivers for executive branch ethics pledges – both Presidents Bill Clinton and Barack Obama made all waivers granted to their ethics pledged available for public review. OGE has set a June 1st deadline for the agencies to respond to its request. The letter was also signed by U.S. Senators Tom Udall (D-NM), Edward J. Markey (D-MA), Jeff Merkley (D-OR), Elizabeth Warren (D-MA), Chris Van Hollen (D-MD), Richard Blumenthal (D-CT), Sherrod Brown (D-OH), Patty Murray (D-WA), Tammy Baldwin (D-WI), Michael Bennet (D-CO), Ron Wyden (D-OR), Maria Cantwell (D-WA), Mazie Hirono (D-HI), Ben Cardin (D-MD), Jon Tester (D-MT) and Gary Peters (D-MI). “It is an extraordinary thing,” said OGE Director Walter Shaub of the effort to deny OGE the waivers. “I have never seen anything like it.” OGE was granted the power to request information on ethics waivers following the Watergate scandal. Even President Trump’s own nominees have acknowledged that the Trump Administration’s ethics standards, in addition to being undermined by secretive waivers, are weaker than the previous Administration’s rules. 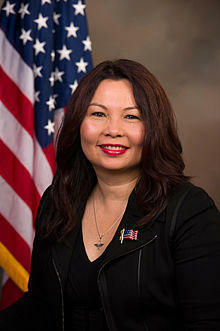 This issue came up at the recent confirmation hearing for Deputy Interior Secretary Nominee David Bernhardt when Senator Duckworth pressed Mr. Bernhardt on whether he was aware that, under the Obama administration’s ethics rules, he would not have qualified for his nomination due to conflict of interest concerns. Mr. Bernhardt confirmed that fact. We write to register our concern with your letter of May 17, 2017, requesting that Office of Government Ethics (OGE) Director Walter Shaub “stay” his April 28, 2017 “Data Call for Certain Waivers and Authorizations.” That data call seeks all waivers granted pursuant to section 3 of Executive Order 13770, “Ethics Commitments by Executive Branch Appointees.” OGE is statutorily entitled to obtain and review the waivers. Further, there is a significant public interest in making these waivers available to the public and no reasonable justification to keep them secret. Regarding the recent data call, the OGE Director has statutory authority to provide “overall direction of executive branch policies related to preventing conflicts of interest on the part of officers and employees of any executive agency.” 5 U.S.C. app. 402(a). The Director is charged with “monitoring and investigating individual and agency compliance with any additional financial reporting and internal review requirements established by law for the executive branch” and “interpreting rules and regulations issued by the President or the Director governing conflict of interest and ethical problems and the filing of financial statements.” Id. at 402(a)(5)-(6). To achieve that end, except where prohibited by law, the Director may direct an agency to provide “all information and records in its possession which the Director may determine to be necessary for the performance of his duties.” Id. at 403(a)(2). It is also well settled that employees of the Executive Office of the President are subject to the executive branch-wide standards of ethical conduct at 5 CFR part 2635, and the executive branch-wide financial disclosure regulations at 5 CFR part 2634. 3 C.F.R. 100.1. In your letter, you cite no legal basis to the contrary. As a policy matter, there has never been a dispute over the merits of disclosing waivers to executive branch ethics pledges. Presidents Bill Clinton and Barack Obama made all waivers granted to their respective ethics pledges available for public review. The Obama Administration posted waivers electronically, and the Clinton Administration published waivers in the Federal Register. See Executive Order 12834 sec. 3(c). President Trump chose not to include a transparency requirement in his executive order, making the OGE data call necessary for assuring Americans that the Trump Administration is taking its own ethics pledge seriously. A pledge that allows for secret waivers is, quite obviously, meaningless. On April 20, 2017, several of us wrote to President Trump urging him to make waivers to his ethics pledge public. Your letter of May 17 suggests that rather than working with Congress to ensure the highest ethical standards in the Trump Administration you are willing to take whatever steps you can to hide potential conflicts of interest from view. We want to make clear that we will use all tools available to us as United States Senators to make waivers to the Trump Ethics Pledge available to the public. If OMB does not stand down from its attempt to prevent Designated Agency Ethics Officials from responding to the OGE data call, we will seek the waivers directly ourselves. The Administration cannot dispute that Congress has the right to this information. OGE set a deadline of June 1, 2017, for agencies to respond to its request. To ensure agencies have sufficient time to meet that deadline, we request you either withdraw your request for a stay of OGE’s data call or provide the legal basis for that request no later than May 25, 2017. We also request that by that date you provide to us the number of waivers that have been granted to Executive Order 13770. There can be no reasonable dispute that the number of waivers granted should be a matter of public record, and because waivers may only be granted by the President or his designee, see Executive Order 13770 sec. 3(a), that number should be readily available to you.